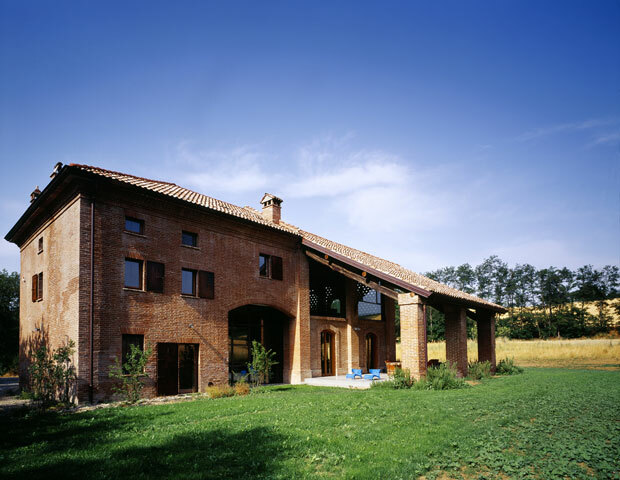 Todays inspiration comes from this holiday retreat in the fields of Val Tidone in Italy. 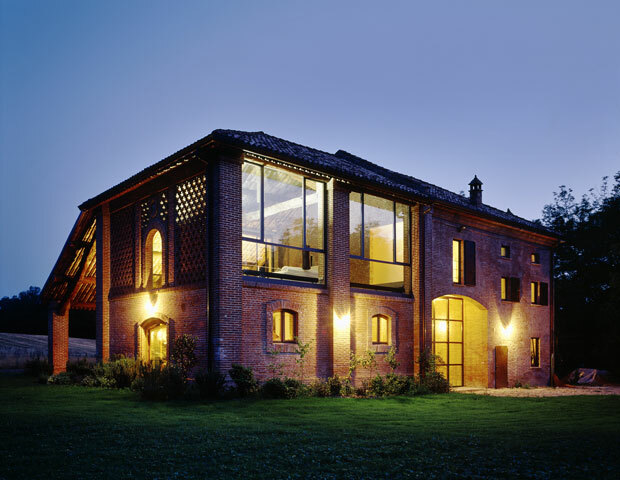 This old farm house has been restored by the architects Philip Pagliani and Michele Rossi. 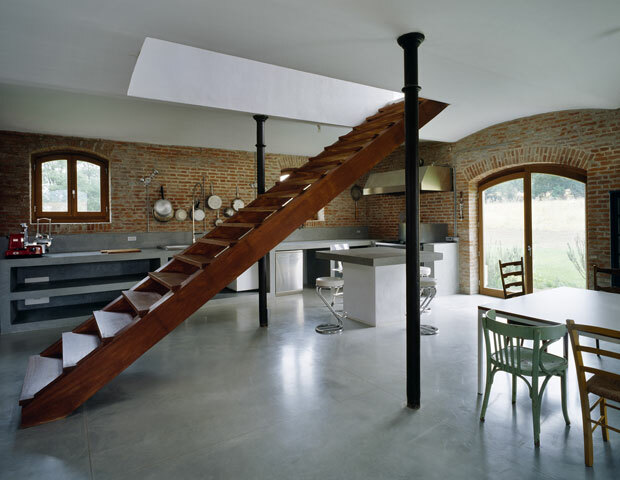 The house which occupies an area of 500 sq m. is divided on three floors connected by a series of stairways. 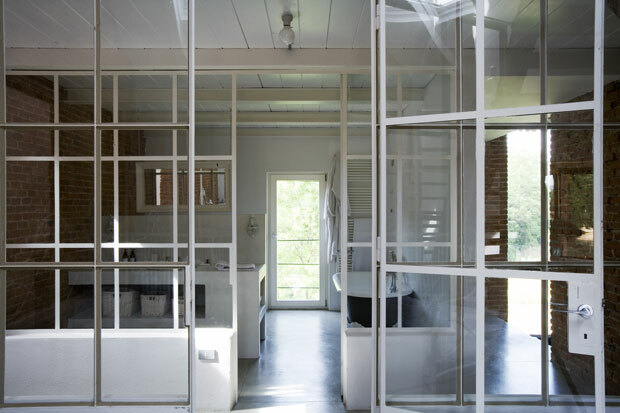 The use of large windows makes this place extremely bright. 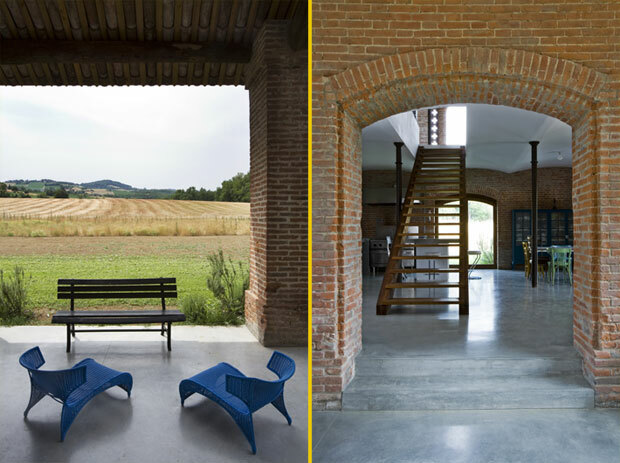 The desire to combine tradition and modernity is evident in the choice of materials: rough concrete and brick backdrops combined with new elements. 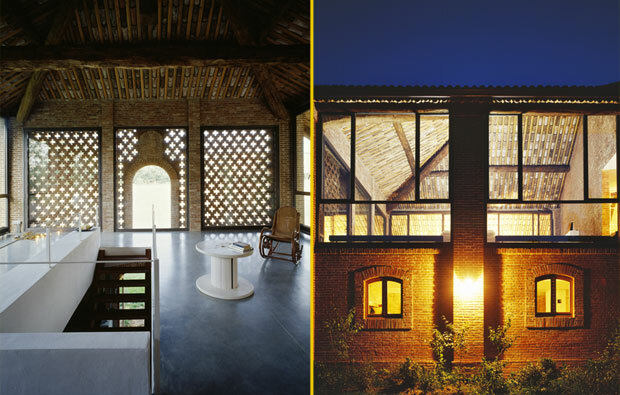 What do you think of this retreat? 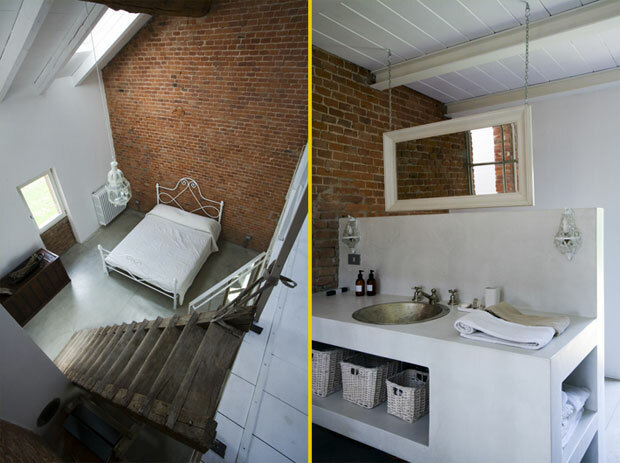 Rustic elegance in the bed and bathroom. What else do you need?